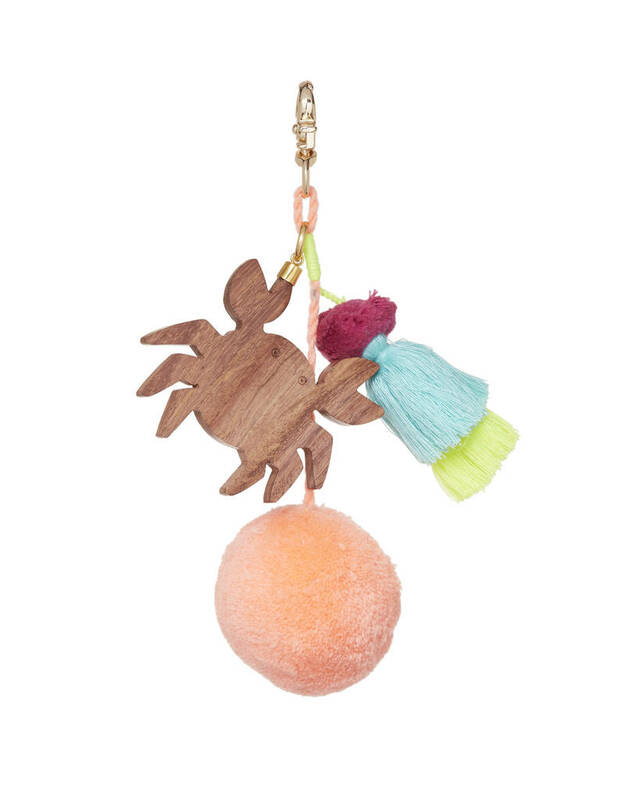 You can chose from fun tropical designs like pineapple, crab, nautical anchor or a palm tree. 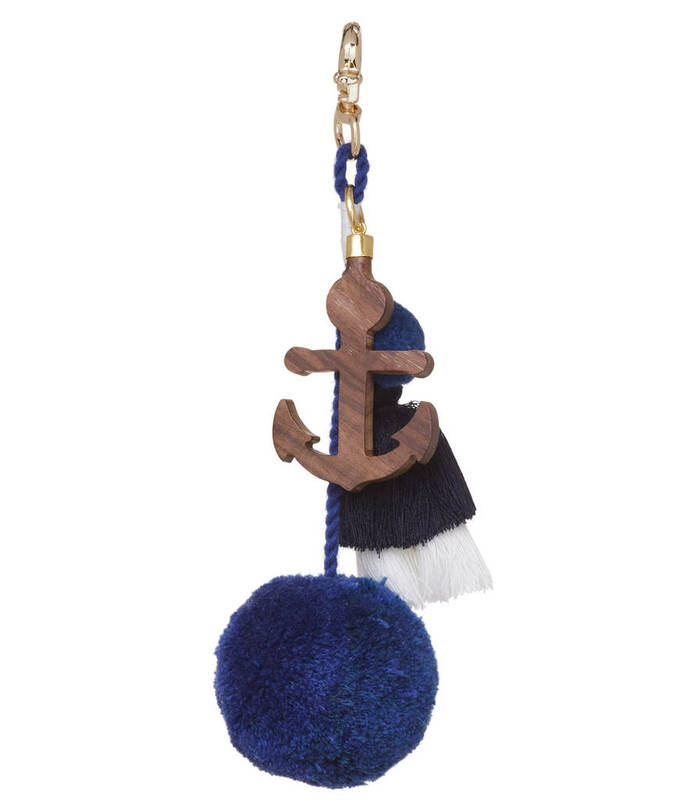 The wooden carving is adorned with bright pompoms and tassels from neon yellows to subtle blues. Pink, orange and green all pop up. Add some colour to your bags with our hand carved wooden charm pompom tassel bag charms! 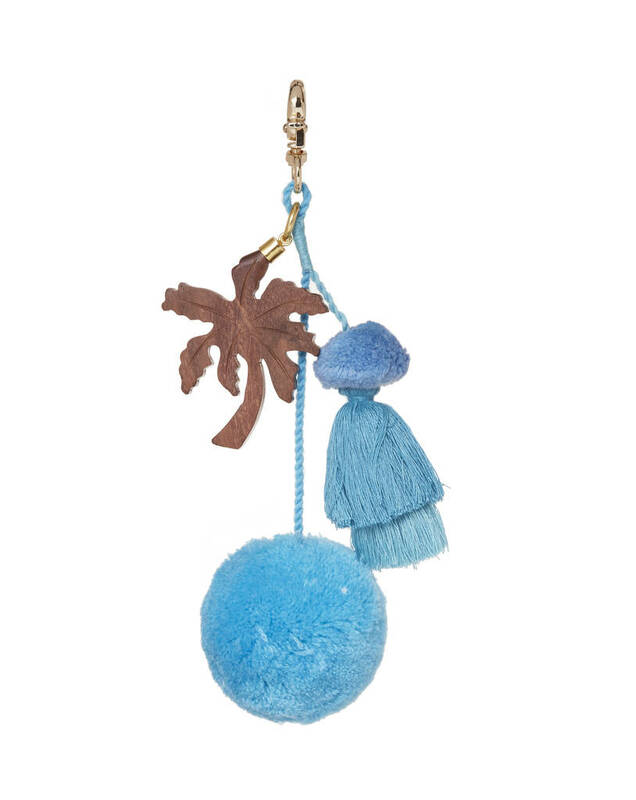 With a metal hook to attach easily to your beach bag! You'll be sure to turn heads. 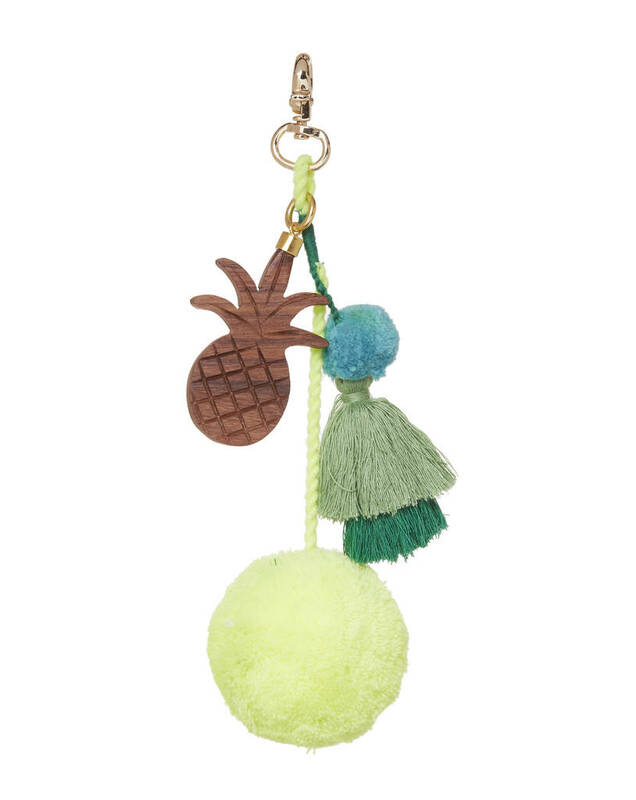 It can be used as a keyring, or a bagcharm, to personalise any beach bag, clutch or tote for summer holiday or a fun day in the city! 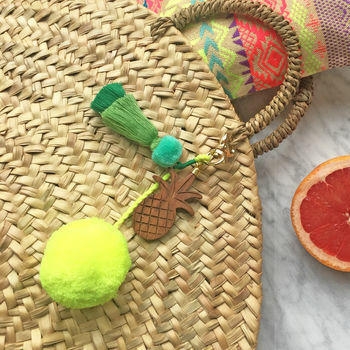 Carefully handmade by skilled artisans in the Ashiana workshop! This product is dispatched to you by Ashiana London.